On Thursday, Oct. 13 the John Molson School of Business (JMSB) hosted “The Role of Canadian Universities in the Development of Indigenous Communities,” a conversation that focused on the role of post-secondary education in indigenous economic development. The conversation featured Ghislain Picard, the Assembly of the First Nations’ regional chief for Quebec and Labrador, along with Elizabeth Fast, a Concordia assistant professor in the department of applied human sciences and J.P. Gladu, the president and CEO of the Canadian Council for Aboriginal Business. 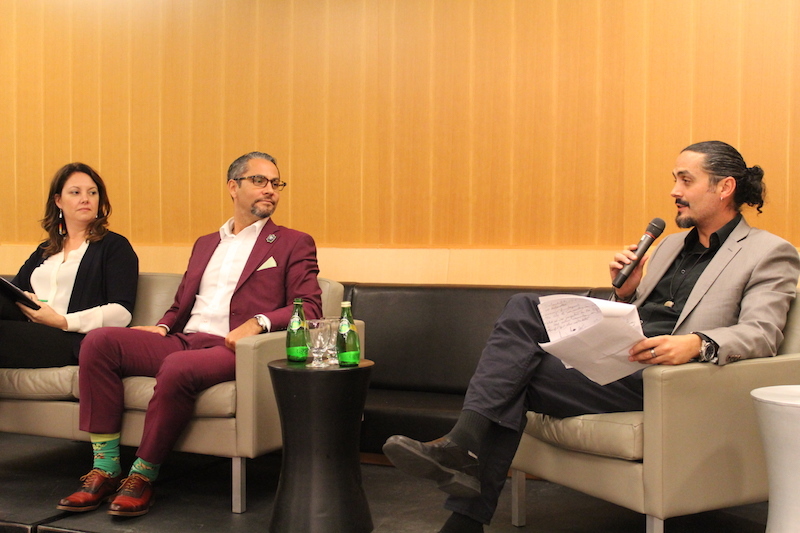 The event, moderated by Francois Bastien, an instructor at both JMSB and the Kiuna Institution, a First Nations college in Odanak, explored a number of issues that affect Aboriginal students and communities across Canada. In his opening remarks, Picard reminded the audience that while progress has been made in recent years, Quebec and Canada as a whole still have a “denial of indigenous rights and indigenous title … We have a lot of catching up to do,” said Picard. According to the panelists, an area that needs improvement is Canada’s education system. According to the C.D. Howe Institute, the high school graduate rate is significantly lower among First Nations students compared to other Canadians. The dropout rate is 58 per cent for students on reserves, while only 30 per cent for others. Likewise, indigenous university students face multiple barriers including racism, according to Fast. “Universities aren’t culturally safe spaces. There is a lot of racism [and] it doesn’t get talked about or acknowledged enough,” said Fast. She said often, some of the most unsafe experiences happen in the classroom, one of the reasons for this being many students are coming to university knowing very little about what the contemporary indigenous person’s reality has been. Fast’s proposed solutions included seeking more Aboriginal representation in university staff and having First Nations communities and Canadian institutions work together to develop educational strategies. “One of the things we need to do is educate everybody, be ready to learn, and come from a co-learning perspective,” said Fast. Fast was not the only panelist to discuss the importance of working with indigenous communities to create solutions. Gladu said that negative stereotypes about indigenous people still exist, and both Aboriginal and non-Aboriginal Canadians must move past them in order to empower future generations. Gladu said in the past fiscal year, First Nations-owned businesses had contributed $12 billion to Canada’s GDP. While the panel was meant as a reminder that there is still progress to be made in Canada, the discussion focused more on solutions than on problems. “We need to find a balance. We need to measure our failures, but we need to measure our progress as well,” Picard said.